As I prepare an article for a volume on the World Religions Paradigm (WRP), I’ve been rereading classic works such as Russell T. McCutcheon’s Manufacturing Religion and Tomoko Masuzawa’s The Invention of World Religions. In the midst of John Kerry’s comment that were he to return to school today he would study Comparative Religions, it is evident we need more discussion of the way “religion” has been constructed and deployed. Michael J. Altman has an excellent post on Medium.com with his recommendations for how Secretary Kerry might revise his understanding of religions. I don’t intend anything quite so grand, but I do want to point out how freely the WRP works itself into unusual niches in our lives. Sometimes its appearance can be pretty confusing, as I found in the case of a popular computer game. Sid Meier’s immensely popular game franchise Civilization has been the go-to turn-based strategy computer game for nearly two decades. Since the release of Civilization in 1991, gamers have logged millions of hours conquering the world hexagon by hexagon. As the ruler of an ancient civilization, players must found cities, gather resources to feed their populations, build armies to defend their lands, and research technologies that mirror humanity’s rise to the present. For the level of commitment some players have to the series, check out this account of a man who has been playing the same game for over a decade! One of the more recent versions of the game, Civilization 5: Gods and Kings, added religion as a core mechanic for gamers to enhance their empires. You can select various traits that give bonuses for possessing certain resources or tiles. Desert tiles, for instance, produce very little food and can make it harder for your cities to grow. Often you might avoid placing cities in areas where they would be surrounded by lots of desert. One religious trait you can adopt adds a bonus for desert tiles, making them much more desirable. There is probably enough in the details of religious attributes to merit another post or two in the future. For now I want to emphasize the way in which the world religions are constructed in the game. Players begin by accumulating faith (usually by building a shrine which takes several turns to build and has a maintenance cost every turn). Eventually they accrue enough faith to found a “pantheon” and select an initial gameplay bonus. If a player accumulates enough faith a Great Prophet appears and s/he can found a religion. While faith is universally represented by a dove carrying a small green branch, each of these religions is represented by an icon. The icons serve one primary purpose: when multiple religions exist in a city, the small icons fit in the pop-up HUD to display the breakdown of a population’s religious affiliation. There are also no bonuses for pairing religions with traits that might appear appropriate to their historical or cultural pasts. You can have Buddhist Cathedrals or Catholics that receive a bonus from temples. It’s a massive and confusing religious buffet. And as I see it that is part of the problem. The choices of traits are not confined to particular religious traditions. Players are not penalized for mixing and matching, nor must they take both good and bad traits. This format presents all religions as functionally equivalent–the name is irrelevant. I can understand from a designer’s standpoint that this mechanic is meant to offer players diverse bonuses that are appropriate for their particular circumstances in-game. It works, too. It is immensely satisfying to find your economy or scientific research pulling ahead because you carefully planned your religion’s abilities. From a religious studies stance, however, every time I found a religion in a game of Civilization, I find myself cringing at the underlying consequences of the whitewashing of historical and cultural context. Why should the Protestants get a bonus in the desert! Why are the Tengriists getting bonuses for printing presses? How are the Buddhist monasteries generating so much wealth for my cities? It’s a endless hodgepodge. The beliefs of many faiths are mutually exclusive or, at the very least, perennial antagonistic. The attempt to synchronize world religions is not simply an effort of categorization (scholars being scholars) but of faith and its role in creating and shaping scholarship. It is the product of a certain way of looking at the world and a certain way of judging its people’s beliefs and behaviors. Because we know that the WRP is so profoundly entangled in the rise of enlightenment rationalism and Protestantism in the West, at least we have a chance to develop a very good sense of the biases and contortions of the categories. This, I suppose, is the other hand: even Prothero’s work can be fundamentally misleading. One of the great challenges in avoiding the WRP is stepping outside of the boxes into which we’ve placed religious lives. It’s not easy and there are pitfalls that the game exposes. 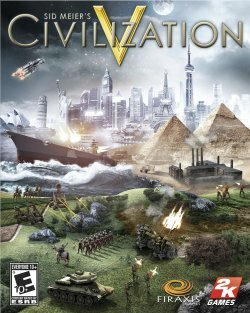 Civilization is a game that puts players at the dawn of time and hopes they’ll survive until the present day and beyond. This inevitably compresses (or obliterates) not simply the details of the lives that would render the WRP less powerful, but also the differences of time, space, and culture that led to the possibility of the WRP in the first place. It doesn’t matter whether I pick Catholicism or Islam–the game doesn’t care and there are no consequences to my selection. I guess that means that religion has been so spectacularly reduced by the game that its arbitrary-ness is more evident than its special-ness. As I said, a hot mess. At least the gameplay is still spectacular.